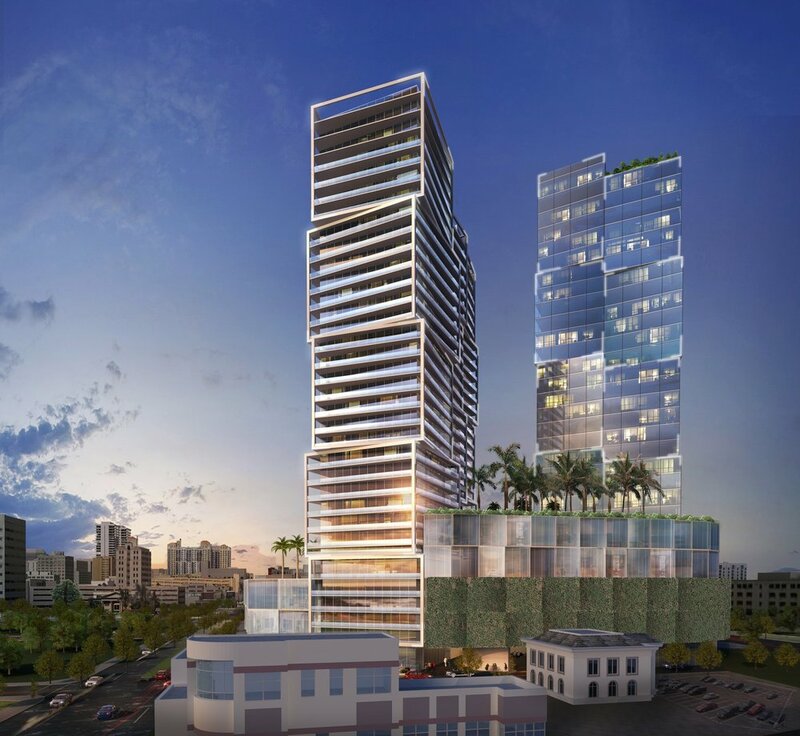 West Palm Beach’s newest Luxury Hi-Rise Towers. Unique Cubed Glass Architecture, Designed by World Renowned firm, Arquitectonica. Completion date 2020. The $300 million complex will feature offices, suite-style hotel rooms and apartments, 200,000 sq/ft of Class A office space, all within an Iconic design. Floor boast 14 ft ceilings, with 40ft ceilings in a 14,000 sg/ft meeting space. Living in the heart of West Palm Beach means you’re within reach of everything you need and anything you want. Local boutiques meet up with the city’s best flavors and watering holes. Major employers are on every street and a bustling fine-arts scene is around every corner. Find out why people love living in the center of it all. Discover City Palms. City Palms keeps you closely connected with the Brightline train. The train stops right across the street, where you can enjoy the ease of a walkable lifestyle and travel with speed from West Palm Beach to Fort Lauderdale and Miami. Take a walk or bike ride to Palm Beach, boutique shopping and extraordinary restaurants and entertainment in City Place and Clematis Street. City Palms offers an urban oasis for residents that want to be in the center of it all. 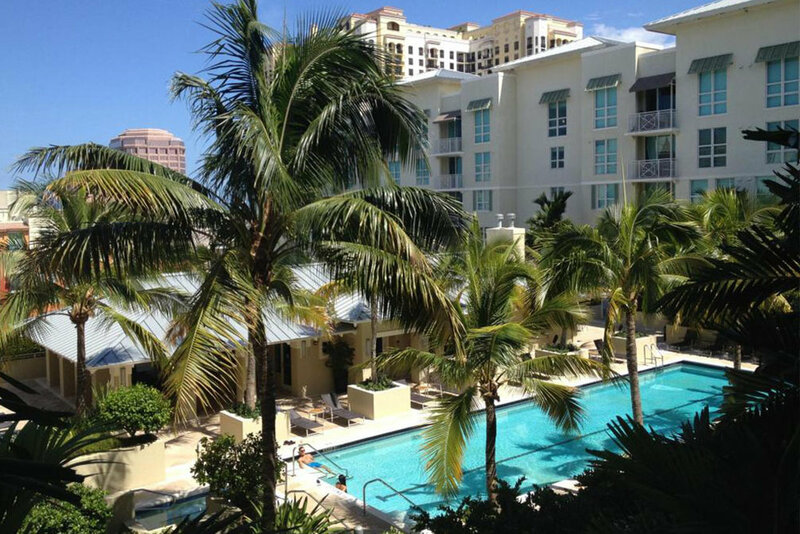 Luxurious Condos in the heart of Downtown West Palm Beach, FL. Life at The Whitney in West Palm Beach has always been defined by bold energy and refined by coastal calm. While that hasn’t changed, we’ve brought comfort to a whole new level with full interior renovations. We believe that after a day exploring The Whitney's beautiful beaches, social escapes and outdoor adventures, you should come home to true, relaxed luxury. Come see the new look for yourself – and you’ll know why people love calling The Whitney home. High-Rise Water-Front, and Ocean View Luxury Living in Downtown West Palm Beach, FL. Experience West Palm Beach living at Poinsettia Place Apartments. This community is located in Northwood directly adjacent to Currie Park, Flagler Drive and charming shops, galleries, coffeeshops and restaurants.